Here you can find all HPLC columns by SIELC. SIELC convinces with absolute expertise in the technology of liquid chromatography. Primesep and Promix comprise a wide range of normal and reverse phase columns with different id´s and lengths. 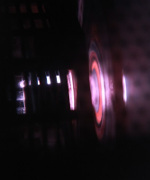 The technology of SHARC columns is characterized by separation primarily based on hydrogen bondings, which highlights the bondings to electronegative atoms. 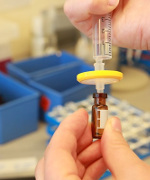 To separate small molecules SIELC offers Obelisc columns. They are based on Liquid Seperation Cell (LiSC) technology. Legacy columns constist of octadecyl silane bonded to porous silica or ceramic particles. They also meet the USP definition. For more information about SIELC HPLC columns here. Primesep A columns are reversed-phase analysis columns with embedded strongly acidic functional groups. These groups improve the retention of weak basic compounds by cation exchange mechanisms. All mobile phases are compatible with LC-MS as well as with preparative chromatography. Primesep AB is also a reversed phase column with embedded acidic and basic functional groups. These groups improve the retention of strongly acidic and strongly basic compounds by ion exchange mechanisms and thus allows the separation of these. All mobile phases are compatible with LC-MS as well as with preparative chromatography. Primesep C is a reversed phase column with embedded complex-forming groups. Retention times of positively charged compounds are improved by complex formation. Primesep N is a normal phase analysis column with embedded acidic groups (pKa approx. 5). This improves the retention times of basic compounds. Polar compounds are separated by the HILIC mechanism. All mobile phases are compatible with LC-MS and preparative chromatography. Primesep SB is a reverse phase analysis column with embedded strongly basic functional groups. The retention times of acidic compounds are improved by anion exchange mechanisms. All mobile phases are compatible with LC-MS and preparative chromatography (pH range in the range of 1.5 to 5). 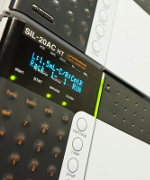 Obelisc ™ HPLC columns are the latest innovative columns from SIELC Technologies. Obelisc columns are the first commercially available columns with Liquid Separation Cell Technology (LiSCTM). The LiSC technology is based on a chemical modification of the silica gel pores, which creates a liquid separation cell with its own charge properties, ionic strength and hydrophobic properties. Like a living cell, which is in equilibrium with the external environment, liquid separation cells exist in a constant equilibrium with the mobile phase. Obelisc R is a reversed-phase analysis column, with non-polar hydrophobic side chains bounded to silica gel or a polymer. By additional ionic groups on a long hydrophobic chain, Obelisc R offers additional retention times for analytes which are not given with a conventional reversed-phase column. The Obelisc N HPLC column is particularly suitable for the separation of polar and charged analytes due to its polar properties. Through positively and negatively charged functional groups, it is possible to interact with diverse charged analytes and separate them from each other by different retention times. All Coresep HPLC columns are reversed phase columns with embedded basic or acidic functional groups, thereby improving the retention of ionic compounds. All mobile phases are compatible with LC-MS and preparative chromatography in a pH range between 1.5 and 5. Choose between different stationary phases: Coresep 100, Coresep S or Coresep SB to obtain the best possible separation result. SHARC ™ HPLC columns are the latest innovation from SIELC Technologies and represent the first columns in which the separation is mainly based on hydrogen bonds. SHARC stands for Specific Hydrogen-bond Adsorption Resolution Chromatography (Specific hydrogen bonds adsorption dissolution chromatography). Hydrogen bonds are the interaction between a positively polarized hydrogen atom bound to an electronegative atom such as oxygen, nitrogen, and fluorine with a second electronegative atom.